I have a small treasure chest that I like to fill with gold coins (the chocolate version) and then hide somewhere in the house for my children. They really love a great treasure hunt. And if you’re trying to find a hidden treasure you need a map. I’ve done map of my house that I use where I’ve put in all the furniture, if a sofa is moved in real life, I move it in the map. In the beginning I just hid the treasure and marked the spot with an X, but nowadays they are too good for that. If I just mark it on the map they will find it in minutes. So now I’ve started with simple riddles and clues they have to solve first, before they can decipher the map. I’ve also used the treasure map, with a big success, on their birthday parties with friends, and so far I haven’t met a single child who doesn’t think it is a blast to look for treasures. So who said that you can’t have a practical use in your daily life of you mapping skills? 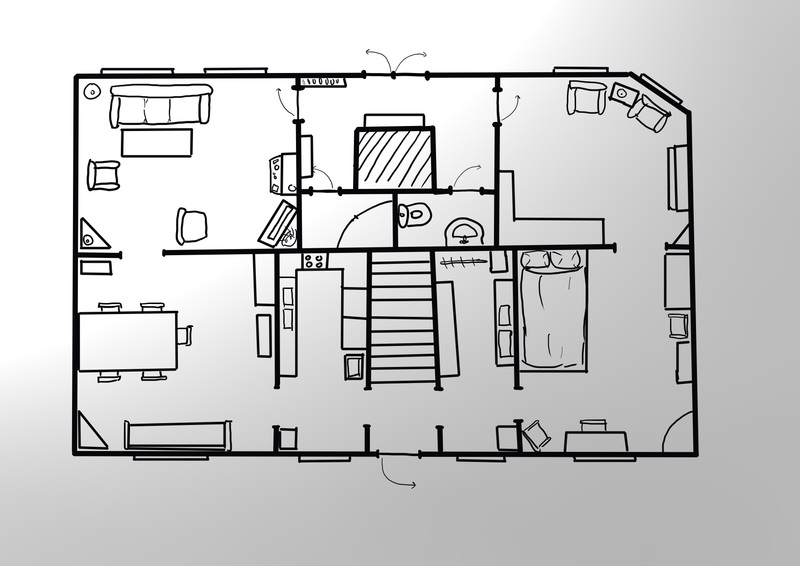 The map below is a rather quick treasure map of the ground floor of my house that I’ve made in Artrage. The goal here was to keep it as simple as possible but still recognizable for them so they can find the treasure. There is something special with simple maps. Making a simple map can be much harder than making a complicated one. I love making maps that show a lot of details, where you can see the furniture in the rooms, what’s on the tables, blood on the floor etc. But sometimes you just want to do something old school, something simple and elegant. Making it simple means that you have to leave a lot of the details out, you can’t hide behind a lot of good looking graphics. At the same time a simple map can be just as good looking as a complicated one. You let the user populate the map in his mind instead of feeding him all the details. This particular old school map is from an old adventure I once started on but that I never finished. 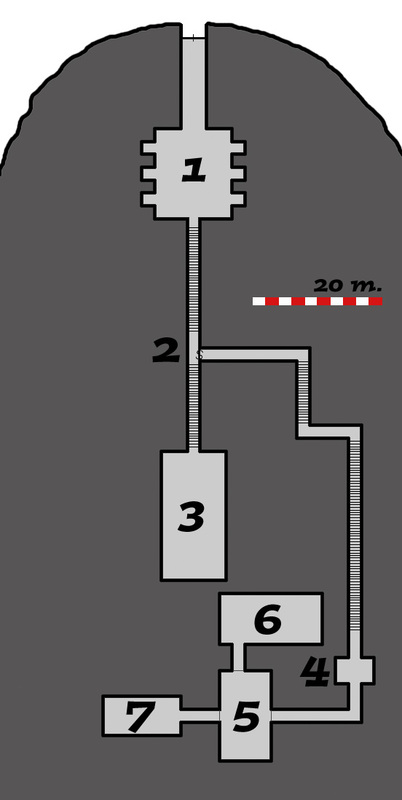 The adventurers had to find the lost grave of a necromancer and retrieve an artifact for their employer. Everything else in the grave they could keep to themselves. To find the location of the grave they had to travel to different islands for clues. A quite standard old school scenario that needed some old school maps. 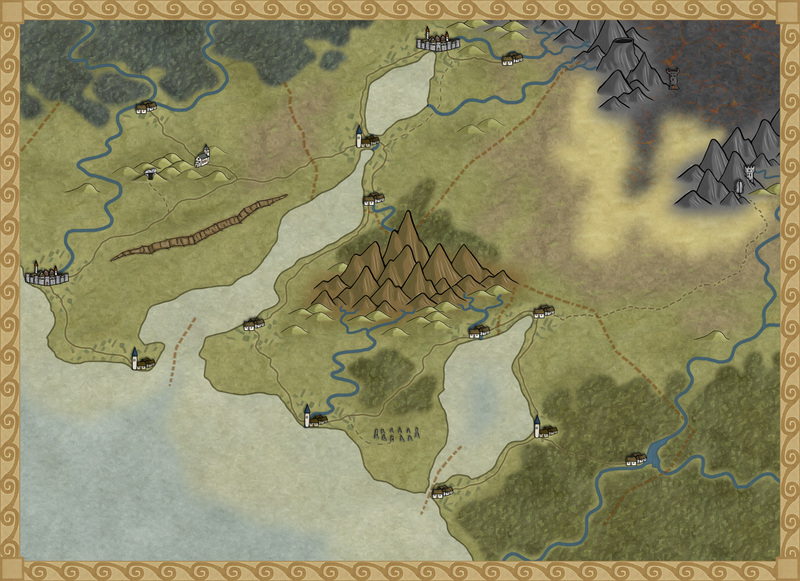 I’ve been asked by Profantasy to turn the map style I used for the Truscian peninsula into a CC3 style (let’s just call it the Truscian style from now on). 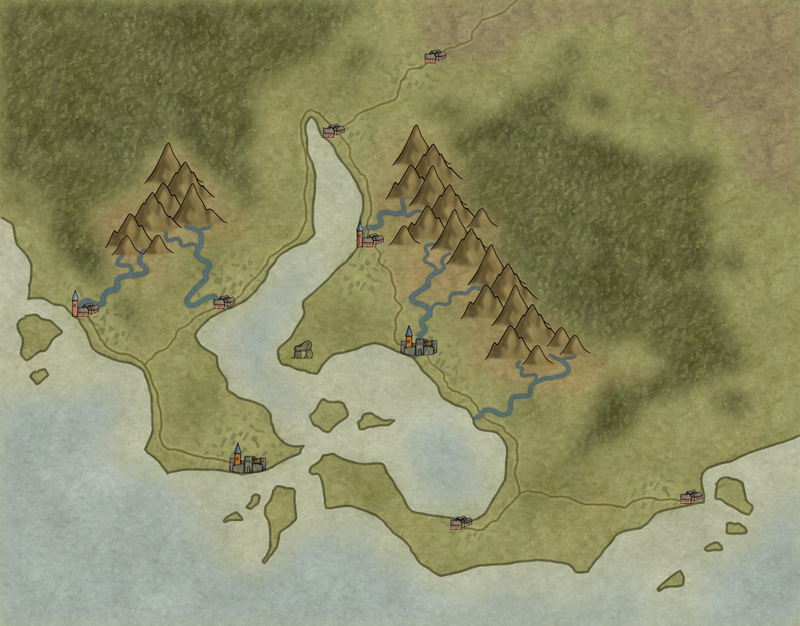 The thing is that when you sit and draw for your own needs you usually can cope with a lot of mistakes in your maps, maybe the city icons look a bit off or the hills just don’t look exactly as you want them to look. But that doesn’t really matter to someone else then yourself. When you suddenly are doing something that other people might be using those things start to matter and that can be a bit scary. Most of all you want it to be perfect, you don’t want it to just be ok. Suddenly you also have to make decisions. How many types of terrain do you need? Do you have enough city icons? How many city icons are enough? The questions can very easily become quite many. The best thing to do here is to actually sit down take a piece of paper and start writing down what types of terrain you already have, what types are missing, what icons do you want, do you need some terrain features that you have to make. Do you have a compass rose and a scalebar? Get it all down and try to make a plan on when things shall be done. When I started to put it all on paper I soon realized that I was missing a desert, some wasteland and volcanic terrain. I needed some new city icons, a volcano or two, maybe some graves, hills and so on. But now when everything is on paper and there is a plan, it is much easier to start working. The map below is a test map of the style that I’ve made in Photoshop. It consists mostly of seamless tiles that I use as patterns. Every terrain type is on its own layer and I’m using layer masks to make the terrain visible where it shall be seen. The mountains and city icons are drawn objects that I’ve pasted in on top of the terrain layers. There is still no compass or scale bar, but I have a fairly good idea on how I will do them. Well in December you will see the finished result, if you subscribe to the yearly annual. Hopefully some of you will find it useful.